Neil and Poonam both appreciate that a visit to the dentist for many patients may not be easy. Together with the team at Oatlands Dental Lounge in Weybridge, they have worked very hard to make the practice relaxing and comfortable and ensure all treatment is performed to an exceptional standard. Neil graduated in 2006 from King’s College London with multiple distinctions. Since then he has successfully dedicated his time to treating patients in primary care settings both in Weybridge, Surrey and in West London. Neil is a friendly and passionate practitioner who strongly believes in the advantages of postgraduate education, to allow him to offer the very latest and best in evidence based treatments. He has been widely praised by his patients for his caring and professional chairside manner especially those who are apprehensive of visiting the dentist. He has been ‘Dental Phobia’ certified and routinely provides Intra-venous sedation for those who are extremely nervous. In 2007, Neil became a member of the Joint Dental Faculties at the Royal College of Surgeons, England. He went on to gain a Masters in Clinical Dentistry at Kings College London, in the field of “Fixed and Removable Prosthodontics” with distinction in 2015. In January 2016 Neil shall also complete a three year MSc in “Aesthetic Dental Implantology” to allow the advanced placement of dental implants. Throughout his training, Neil has worked with some of the worlds’ leaders in the dental field and, this has allowed him to undertake more complex advanced cases in clinical practice involving restorative rehabilitation, cosmetic concerns, tooth wear, and replacing missing teeth. 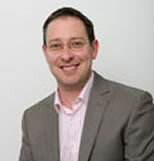 Neil also frequently travels internationally for conferences to keep abreast of all of the latest techniques within and outside of the U.K. As a firm advocate of digital implant dentistry, Neil uses a combination of CAD – CAM milling devices and 3D scanners to provide some of the most accurate techniques for implant placement planning to date. Neil also uses “Plasma rich in growth factors” (PRGF) to promote more efficient natural healing of implant sites following treatment, this is widely used to treat sporting injuries and is now at the cutting edge of modern dentistry. Poonam is a caring, charismatic, and enthusiastic health professional. She also graduated from Kings College London in 2006, has since engaged in many post-graduate courses, and is a Member of the Joint Dental Faculties at the Royal College of Surgeons, England. Recently, she has undergone training to provide invisible braces systems, such as the ‘Six Month Smiles’ and Inman Aligner, this has helped boost patient confidence and improving smiles. Poonam has been trained in providing advanced wrinkle correction injections techniques and complements smiles using facial aesthetic treatments, such as line and wrinkle softening, particularly in upper face. Of particular interest to Poonam is practicing general dentistry with minimally invasive and preventive techniques. Her calming chair side manner makes her popular with children and nervous patients. 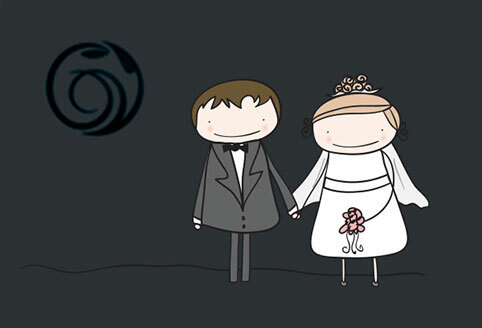 She is very family-oriented and this is reflected in the ethos of the practice. Poonam has visited schools in Fiji to help improve dental health awareness. She firmly believes good experiences from a young age are absolutely the key to preventing Dental Phobia. Outside of dentistry, Poonam thoroughly enjoys cooking a variety of cuisines, interior design and spending time with her friends and family. She would, one day, like to twist Neil’s arm to take her skiing! Bhavin qualified at the University of the Witwatersand in Johannesburg, South Africa in 2OOO with awards in General Medicine, General Surgery and Operative Dentistry. 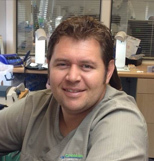 He has always been passionate about dentistry and especially Periodontology and its related disciplines. ln 2OO7, Bhavin embarked on formal postgraduate studies, which culminated in an MSc in Clinical Periodontology in 2OlO. 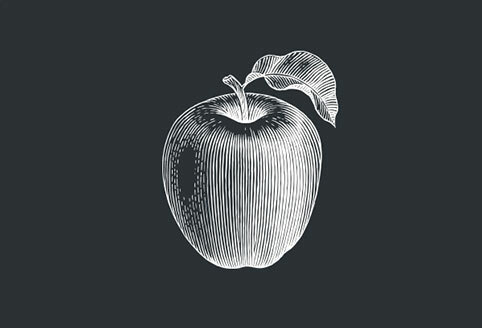 He has attended extensive post graduate courses nationally, in Europe, the USA and South Africa and enjoys keeping abreast of contemporary concepts and techniques. Roshni qualified from Kings College London in 2010 and has spent her subsequent years both in private practice and hospital posts working with specialists, where she learnt that taking the time to listen is the most important first step in providing personalised and excellent dental care. Roshni’s approach to dental treatment is about providing minimally invasive dentistry which means interfering with your teeth as little as possible and then restoring with life like materials so keeping your teeth as close to how nature intended them to be. When providing functional treatment she takes pride in doing so in a relaxed and open manner which proves popular with families, especially the children! Roshni is also passionate about aesthetic dentistry believing every patient deserves the chance to feel confident with a beautiful smile. Modern dentistry allows us to provide a standard of care that was unthinkable even a generation ago so Roshni takes a keen interest in staying abreast of developments in dentistry to ensure she offers her patients the very best. Currently, Roshni is completing a year long training programme in Comprehensive Restorative and Aesthetic Dentistry with the internationally renowned Specialist Restorative Dentist and Prosthodontist, Basil Mizrahi. Roshni has already completed her qualification in the Diploma for the Member of the Joint Dental Faculties (MJDF) at the Royal College of Surgeons and at undergraduate and postgraduate level won many prestigious prizes including the ‘Gary Pollock Postgraduate Prize’ in her work on ‘Ethical Aesthetics.’ In addition she has completed an intensive 2 year programme taught by specialists in Periodontics, where she has learnt how an individualised approach to healthier gum care means patients can now expect to keep their teeth for life. Outside of dentistry, Roshni loves to travel. She particularly enjoys seeing different cultural places and usually follows the sunshine! Some of her favourite places visited have included Borneo and Cambodia. She is an avid lover of good food and alongside her passion for travel loves to sample worldwide cuisines. Roshni is very much looking forward to meeting you and providing you with her personalised brand of gentle, dental care. Dr Yasmin George is part of the team at Oatlands Dental Lounge bringing with her 26 years experience in general practice. She is used to treating patients requiring a wide variety of procedures and you will always find her understanding, caring and empathic. 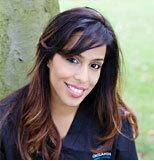 Yasmin enjoys working in the cosmetic dentistry field, finding it extremely rewarding for both patient and dentist. 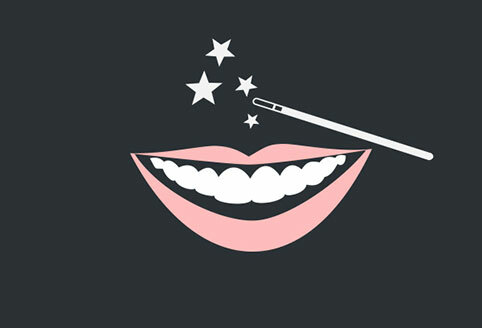 Each time a new patient receives his or her own individual winning smile, the joy is shared. There is no better feeling when an improved smile boosts someone’s confidence and allows them to show off their teeth without hesitation. Working closely with each and every patient, she strongly believes in enabling them to make enlightened decisions when it comes to selecting a treatment. Yasmin tries to make their choice as effortless as possible by providing detailed information that is straightforward and all encompassing. With a total commitment towards team building and staff development, Yasmin believes in ‘relationship-based’ dentistry, this means she takes the time to get to know her patients, understanding their wants and needs, she is then able to advise them of the most appropriate treatment options. Standards of care are extremely high at Oatlands Dental Lounge and Yasmin works hard to provide this for both children and adults. Children’s dental examinations with Dr Yasmin George include an orthodontic assessment at no extra charge. Yasmin offers a wide range of orthodontic treatments for adults, including ‘invisible’ types of braces (lingual) or transparent versions (Invisalign). She has also worked extensively with Damon braces, and can sometimes offer ‘limited treatment’ options that often reduce treatment time. As far as children are concerned, she is driven by a mission to assess and where indicated, treat early, allowing for development of the face as well as the teeth. As the mother of two boys, she has first-hand experience of just how important it is to care for young teeth. Apprehensive clients can also feel relaxed in Yasmin’s care; a nervous patient herself, she understands their worries and concerns and is a Dental Phobia Certified dentist. She can offer a range of techniques to help keep you calm, relaxed and in control. 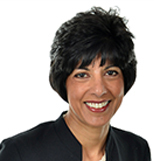 Gaining her BDS at Guy’s Dental Hospital in London in 1988, Yasmin was recently awarded a Fellowship from the IADFE and is currently progressing towards an MClinDent in Orthodontics. During her career, she has taken part in many training courses and attended conferences worldwide. She has served in a number of Dental Academies, Associations and Societies; taught at King’s College Faculty of Dentistry, and is on the Panel of Examiners for the Certificate in Dental Sedation Nursing and the National Examination Board for Dental Nurses. Yasmin is also part of the Visiting Faculty and on the Advisory Board at The Pankey Institute in Florida. Recently involved in the development of continuing education in orthodontics for general dentists, Yasmin has worked alongside internationally acclaimed orthodontic specialist and educator Dr Derek Mahony, BPP University and the Academy of Dental Excellence (ADE). A key member of the team at Oatlands Dental Lounge, Yasmin provides her patients with a fantastically professional service and access to the latest treatments. Check out some of the patient testimonials on our site for first-hand feedback from delighted patients. Give us a call now if you would like to discuss possible treatments with Yasmin. We look forward to meeting you soon. Omesh qualified in 2011 from Bristol University. Following completion of his Vocational Training he gained further surgical experience in his roles as an Oral and Maxillofacial Surgery SHO and a Staff Grade Oral Surgeon in both the North West of England and London. Omesh is currently an Oral Surgery StR rotating between two large London Dental Teaching Hospitals. Alongside his clinical work, Omesh has also successfully completed his qualification in the Diploma of Membership of the Faculty of Dental Surgery (MFDS) and Postgraduate Certificate in Dental Education. He has presented regionally, nationally and internationally on a range of oral surgery related topics and has published papers in several peer-reviewed dental journals. He has actively been involved in undergraduate teaching and has helped deliver Oral Surgery teaching courses for General Dental Practitioners at the world class teaching facilities of LonDec. Omesh is committed to delivering a high standard of surgical treatment and providing treatment in a painless and timely manner. He is an advocate of providing holistic care, taking time to understanding his patients needs prior to attending for treatment whilst also proactively conducting post-operative follow up. He endeavours to perform both surgical and non-surgical tooth extraction in a calm and relaxed environment and is always happy to discuss any part of your treatment so that you can be confident in making the right choice. Neil currently works as an NHS Consultant and Hon. Clinical Senior Lecturer in Oral and Maxillofacial Radiology at Glasgow Dental Hospital and School. 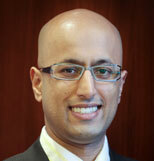 He combines a broad dental background with experience in medical and dental imaging. 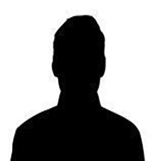 He qualified as a Diagnostic radiographer in 1987 in Sheffield where he worked as a general radiographer at the Royal Hallamshire Hospital gaining experience in neuro, orthopaedic and A&E radiography. He qualified BDS with merit in Restorative dentistry in Newcastle 1995. VT was completed in Edinburgh 1996, MSc restorative dentistry (with distinction 1997), MFDSRCS Edin 2001. He satisfied the Royal College of Radiologists 2007 in his exit exam, where he was awarded DDR, RCR on completion of Specialist Registrar training in Newcastle Upon Tyne (2003-2008). Since qualifying in Dentistry he has had the opportunity to work in both primary and secondary care settings which have included NHS, Private practice (Principal), Community dentistry (out of hours service). His main radiological interests are in salivary gland and TMJ imaging. Cone-beam CT imaging provides Neil with increasing opportunities to help the dental and medical colleagues for whom he provides a diagnostic reporting service. His academic interests include lecturing to undergraduate and postgraduate audiences. He is involved in peer review and holds a visiting lectureship at the University of Hasselt Belgium. He has lectured in Libya 2008 with an MFDS delegation and teaches on the Kings College London, MSc program in Oral-Radiology. Dr Omar qualified from Cairo University 1976 and returned to the UK to pursue a career in Anaesthesia. He took up Anaesthetics at Westminster Hospital in 1980 and subsequently held posts at St Stephens Hospital and the Royal Marsden before leaving the NHS to practice privately in Dental Anaesthetics. Since 1984 Joe has been engaged exclusively in intravenous sedation for dental patients in the Harley Street area of London, where he is proud to serve over 200 dental surgeons. He is the current President of the Association of Dental Anaethetists (ADA) and is the senior partner of Sedation Solutions (Clinical) LLP, a group of medical practitioners dedicated to the art and science of sedation. Joe has also been a member of the Standing Committee on Sedation in Dentistry at the RCS and RCA. 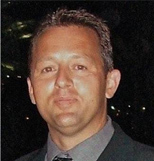 Joe lectures on sedation and other medical topics both nationally and internationally, and is a Clinical Lecturer and examiner in Sedation at the Eastman Dental Institute, CPD, UCL. Dr Fadi Barrak is registered as a specialist in Oral Surgery and is a Fellow of Dental Surgery at the Royal College of Surgeons, England. He graduated from Bristol University in Dentistry followed by Medicine from Imperial College. 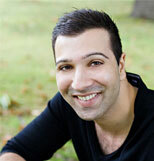 He also has a Diploma in Implant Dentistry from the Royal College of Surgeons, Edinburgh. His main interests are in implant dentistry and oral surgery. Dr Barrak has combined experience in oral and maxillofacial surgery in both hospital and primary care settings since 1994. He is also a mentor for the Association of Dental Implantology and the International Team for Implantology. Dr Barrak is married, with twin boys and a baby girl, who make sure that there is never a dull moment in the Barrak household. In 2010 she enrolled in a three-year Specialist Training (MClinDent in Periodontology) at Guy’s hospital, London, graduating with Merit. She completed her MSc project, as a part of her Specialist Training, in Health Psychology and Health beliefs and maintains a keen interest in health psychology. As a Specialist Periodontist, Pegah is ever passionate about promoting oral health and the benefits of preventative dentistry. She routinely manages complex cases with referring dentists including the diagnosis and management of periodontal and peri-implant conditions as well as cosmetic aspects of periodontology such as Crown Lengthening and Soft Tissue grafting procedures. She presently works as a locum Consultant in Periodontology at Guy’s hospital and is involved in teaching and training of both undergraduate dental students and post-graduate specialist residents in Periodontology. Jose is an accomplished dentist with outstanding attention to detail and patient care. Originally from Lisbon, he graduated in 2009, and has been practising in the UK since 2010. 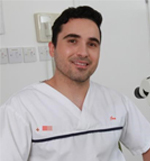 Jose has been following his passion in root canal treatment (endodontics) and completed last year the specialist training in endodontics at Guy’s and King’s College London. With the patient experience and comfort at the heart of his approach, Jose is the ideal person to address root canal diagnosis, treatment and care. Beena joined Oatlands Dental Lounge in February 2017. She graduated with a Ba (Hons) in Business Studies. She has been in the dental industry since 2002 managing multiple site practices and growing them into centres of excellence. Before this, Beena was working as a retail operations manager managing a team of over a 100 staff. She comes with a wealth of experience in the dental industry and has an extensive knowledge in many fields from CQC, HTML 01-05, branding and marketing, HR, Recruitment and Training and development. Her passion and drive is to continuously strive to exceed customer expectations at all levels and she coaches and leads her peers to do the same. Her aim is to make sure that from the moment the patient arrives right up to when they leave Oatlands Dental Lounge they have had a First Class Service. She regularly attends courses and reads journals to keep herself ahead of cutting edge dentistry. In her spare time Beena enjoys travelling, cooking, gardening and playing tennis. 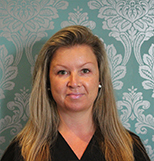 Amanda joined Oatlands Dental Lounge in 2014 as a highly experienced Practice Manager and Dental Nurse. Amanda has been working as an established implant, orthodontic, and general dental nurse since 2005. In 2013 Amanda began teaching the National Diploma for Dental Nurses at Brookland’s College, Weybridge. She has recently obtained her Level 3 qualification in teaching and training. 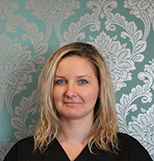 At Oatlands Dental Lounge Amanda works closely with the team to implement continuous staff development. Amanda is passionate about making sure each patient receives excellent care and ensures that their journey with us at Oatlands Dental Lounge is enjoyable and stress free! Amanda is very knowledgeable about various treatment options and can help listen to our patients’ queries and explain options available. 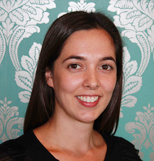 At Oatlands Dental Lounge Amanda implements practice policies and protocols. This is instrumental in the effective running of the practice and meeting Care quality commission (CQC) requirements for Best Practice. In her spare time, Amanda enjoys travelling and sightseeing. Amanda always finds some time in her busy schedule to explore her culinary skills, especially authentic Italian cooking. Wendy first started dental nursing in 1994 and she gained her national certificate in 2003. In 2003 Wendy then moved to Jersey in the Channel Islands, where she worked for a private dental practice for five years. She enjoys quality time with her young son, and her hobbies include horse riding and reading. My name is Becky I have been a dental nurse for 10 years I qualified in 2012 with the National Diploma in Dental Nursing. The team that I work with in the practice are amazing friendly and always happy. 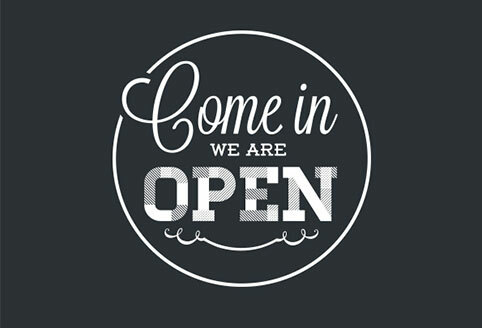 We all strive to make all patients new and old comfortable and always welcome. Szilvia achieved her National Diploma in Dental Nursing in 2017, she joined the team in October 2017. She works with Dr George ensuring that all patients leave the practice with a beautiful smile. Szilvias area of interest is orthodontics and surgical dentistry, she intends to develop her career in these fields. In her spare time she likes travelling, spending time with friends and family. We understake in crown and bridge – work, implant work and Smile Designs. We has been Perfecting Smiles since 1999. The dynamic use of technology, combined with a highly trained team, enables us to provide the most advanced products and services. We undertake in crown and bridge – work, implant work and Smile Designs. We has been Perfecting Smiles since 1999. The dynamic use of technology, combined with a highly trained team, enables us to provide the most advanced products and services. Wendy graduated from Kings’s College London in 1991, bringing many years experience to Oatlands Dental Lounge. Wendy prides herself with her caring and gentle approach, offering a relaxed but highly professional treatment to all her patients. To keep abreast with the ever changing developments within Dentistry Wendy attends Post Graduate Courses so she can provide Optimal Oral Health Care. Outside of Dentistry Wendy is passionate about Nutrition and keeping healthy inside and out. In 2017 Wendy completed the Prudential 100 mile cycle ride and has continued cycling in her spare time. Other interests are making celebration cakes and enjoying time with her family and friends.